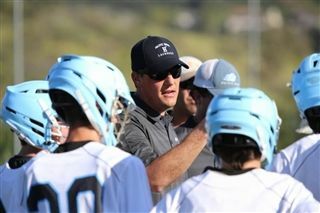 Coach Collins Voted CIF Boys Lacrosse "Coach of the Year"
Pacific Ridge coach Don Collins was recently named California Interscholastic Federation (CIF) San Diego Boys Lacrosse Coach of the Year. The award, voted on by a group of league and CIF representatives, punctuates an unforgettable season for the Firebird Boys Lacrosse program. The team finished the regular season undefeated in league play, No. 1 in San Diego County, and ranked among the top 10 of all Southern California teams.